Beautiful Blog Quotation—BBQ was started by Kozo at Everyday Gurus. It is a way to honor other bloggers who inspire us with their writing and to quote something they said that touched our hearts and/ or inspired us. EJ at Becoming a Writer wrote a post for Bloggers for Peace in November that definitely struck a chord for me. Nevertheless, hating my emotions is about as useful as hating my freckles, or hating my ear lobes. I am learning to channel those fearful, doubting thoughts – and to value them. Without them, in a strange way, I’d never have written anything. 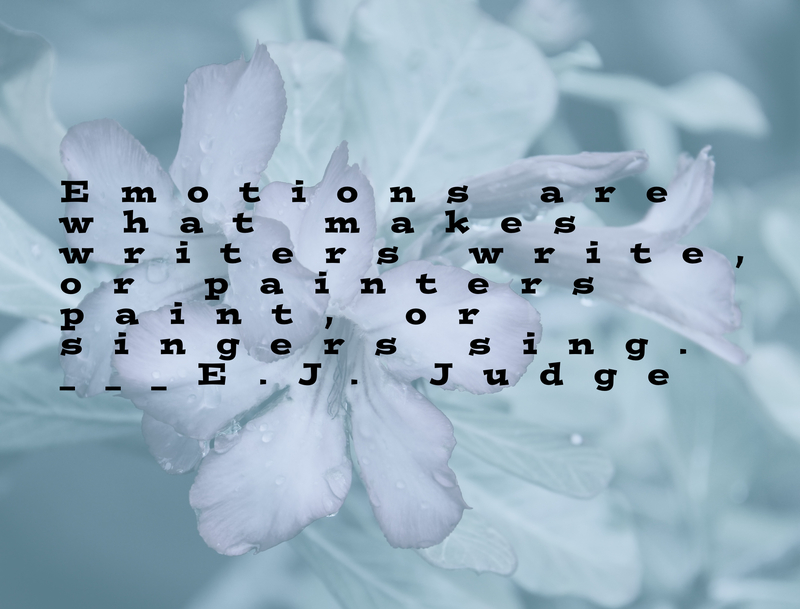 Emotions are what make writers write, or painters paint, or singers sing. I certainly would not have written my first novel without being pushed by my emotions. So ______ and ______, I forgive you and continue to pray for true healing for all involved. Mahalo for making my longtime dream of writing a novel come true, and mahalo for helping M. to finish songs she began writing long ago. You are very welcome and yes, let’s. I am so pleased the post stayed with you, and what a great reminder what B4Peace is all about. Yes, your post for B4Peace definitely contributed to my peace, and I’m sure that is indeed what Kozo had in mind. May 2014 be a peaceful year for all of us!